When you think of dorm room decor, you probably think of your dorm bedding and college posters. You probably haven't thought of dorm items for your dorm desk and dresser tops. In fact, you probably think you're going to be stuck with those scratches and water rings from the previous college students that have lived in your dorm room. The good news is you can add to your dorm room decor while covering up those scratches! There are dorm essentials you may not have considered that just make dorm life better. One of those college supplies is our Grip Print Shelf Liner in Virtu Black! Our Grip Print Shelf Liner is a dorm essential you should not head to college without. 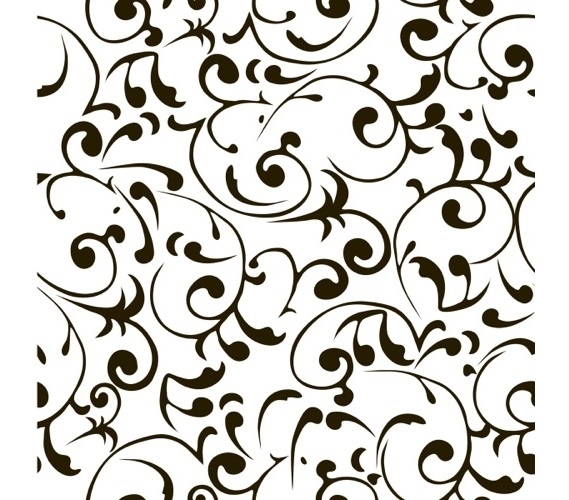 You will be able to cover up those scratches on your dorm dresser and desk tops while adding to your dorm room decor with this gorgeous black swirled design on a white backdrop. The most important part of dorm shelf liners is that they protect your dorm essentials and they also protect you from having to pay costly damage fines at the end of the college year. Think about it- if plenty of college students before you have damaged the tops of the dresser and desk, you will want to protect your clothes and other dorm necessities inside of your college dresser and desk. There's nothing worse than pulling out your favorite T-Shirt to find that it acquired a stain from your dresser drawer or it snagged on a scratch inside. Protect your dorm necessities and yourself by lining the insides of those drawers and the tops of your dorm dresser and desk to prevent more damage to your college provided dorm items!